The field of medicine is committed to curing and preventing ailments. Dedicated professionals treat other humans throughout their careers. However, other committed professionals direct attention to creatures of the sea. Researchers inform the public of easy ways to protect sea turtles. You don’t have to have a degree in biology to be a part of animal conservation efforts. Helping can mean doing something as simple as writing a Facebook post or as committed as traveling abroad. Sea turtle hatchlings use reflections and moonlight to navigate throughout the water. Artificial residential and commercial lighting confuses the hatchlings, directing their attention toward the shore, resulting in confusion, injury, and sometimes death. Turning off artificial lighting ensures a safe route for hatchlings. Alternatively, do your best to reduce, redirect, or limit the use of lighting for residential and commercial use. Make an effort to collect trash when walking along the beach line. Trash and debris is left by beachgoers, fishermen, surfers, etc. Plastic bags, fishing line, and other debris poses a hazard to sea turtles both on and offshore. Turtles may get tangled in plastic or accidentally ingest harmful debris. When you collect trash, you’re not only improving the aesthetic of the beach but saving the sea turtles too. It’s understood that people think sea turtles are cute. It’s natural to grow interested when spotting hatchlings or sea turtles on the beach. However, please give them privacy and let nature take its course. Do not disturb female turtles as they beach, looking for a place to nest. Also, let hatchlings be, making sure not to disrupt their well being or course to the water. Overall, the chemicals we use to wash or cars and improve our lawns gets washed in natural waters. Reducing the amount of chemicals and opting for natural solutions is better for the environment as well as all of the creatures of the ocean. We hear about water pollution at large scales (oil spills) but not as many are educated about the ultimate destination of household and commercial based water waste. One can volunteer abroad with The Great Projects, or start locally, educating neighbors about ways to protect sea turtles and other animal life. You don’t need to do anything too grand. Simply researching the topic and educating friends and family from your Facebook account is an act of activism. If you feel like you’re growing more interested in saving the sea turtles, multiple exotic destinations await you. Report sea turtle activity to the proper authorities. Doing so lessens the chance that others will disturb the turtles and hatchlings. It’s especially crucial that onlookers report situations related to sea turtle death and injury. Your call and report can mean the difference between a severe injury or sea turtle fatality. The small things make a huge difference. We come to the beach to relax, play sports, and eat and drink. However, it’s vital we leave the beach as we found it, taking chairs, smoothing out sandcastles, and ridding used areas of trash and debris. Sea turtles have difficulty weaving through the beach. Leaving an area smooth and undisturbed makes it easier for sea turtles to navigate on land. As mentioned, those who have a greater interest in helping have opportunity to work abroad. Projects are taking place in Romania, Portugal, Finland, Sri Lanka, etc. Do research about particular lands and consider whether a long term trip is something you would consider. Furthermore, if you feel passionate about other animals aside from sea turtles, projects involve multiple animal species such as whale sharks and orangutans. Aside from spreading awareness, you can contribute money toward the conservation efforts taking place around the world. If you can’t contribute your time and energy, a regular donation helps fuel the actions and opportunities of several charities. For those who own a business, consider partnering with conservation organizations or receive tax breaks for hosting events and related endeavors. Your concern helps dictate how laws are shaped regarding animals and related rights. 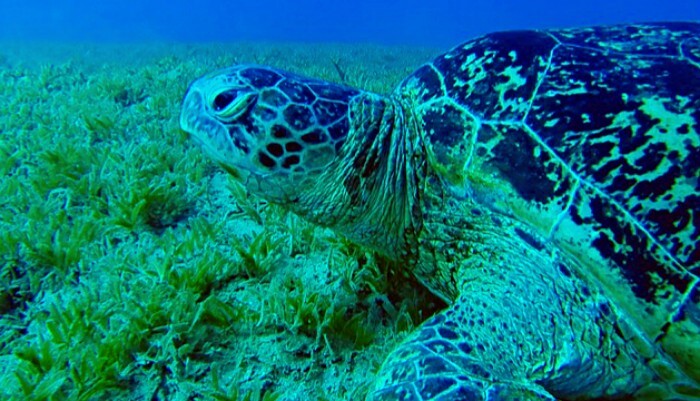 Sea turtles are protected under the Endangered Species Act. The hawksbill, leatherback, Kemp’s Ridley, and green turtle are deemed endangered. Other countries have respective laws regarding the treatment and conservation of sea turtles. However, universal efforts, such as enforcing net regulations, are a part of worldwide goals of advocates and conservation panels.